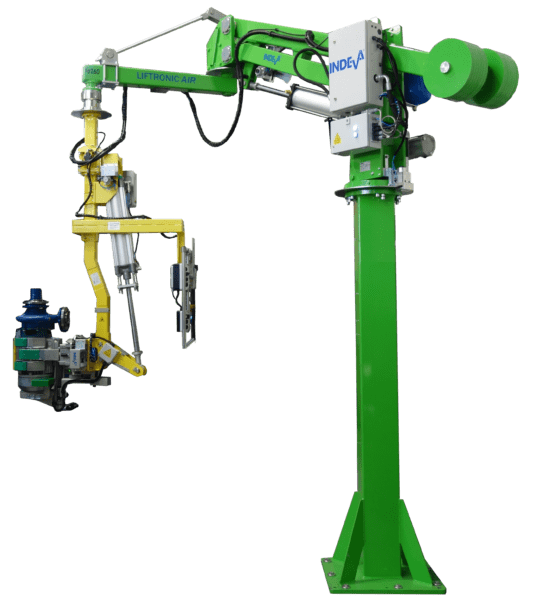 It combines the intelligent control system of the Liftronic® Series with the rigid parallelogram arm structure alike the pneumatic manipulators of the PN Series. They represent the state of the art technology for handling offset loads. Liftronic® Air is the latest technology and has no direct competition on market!! 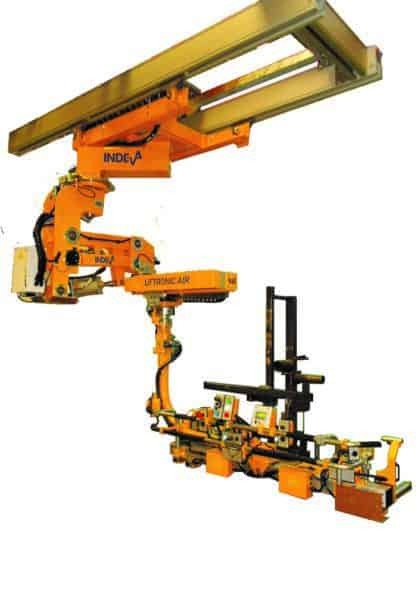 Latest generation industrial manipulators of the INDEVA® family. They combine the strength of traditional pneumatic manipulators with the intelligence of the INDEVA®. Their power for lifting is pneumatic, but they are electronically controlled. Models are available from 80 to 250 kg, that can be supplied either column, ceiling or overhead rail mounted. Compared to traditional pneumatically controlled manipulators, Liftronic® Air offers important advantages which help improve safety, egonomics and productivity.